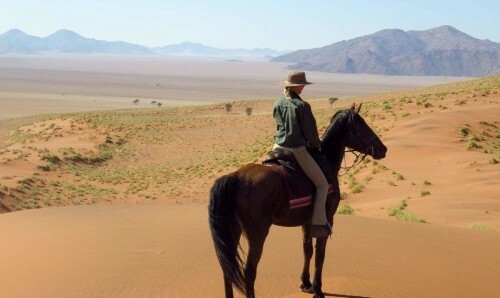 This is an African horse riding holiday in Tanzania at its very best; follow in Hemingway’s footsteps as you cross the western game corridor of Mt. Kilimanjaro, and return to safari without an engine. 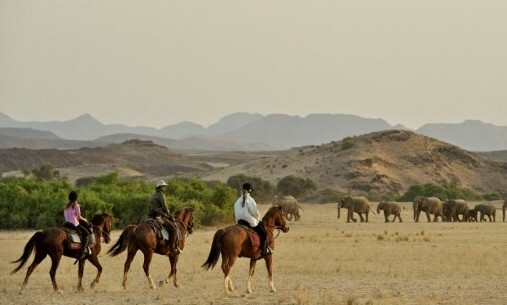 Riding through some of Africa’s most iconic scenery, and taking in the diverse flora and fauna, will make for an unforgettable adventure. Encounter wildlife such as buffalo, zebra, elephant and many more as you explore the montane forest of Kilimanjaro, the western savanna, the magnificent Mt. Meru, tracking animals that roam freely between Lake Amboseli, Kilimanjaro National Park and Arusha Park. The colorful Masai tribe shares the same area and you will see them and their herds mingling with zebra, wildebeest and antelope on the vast plains. 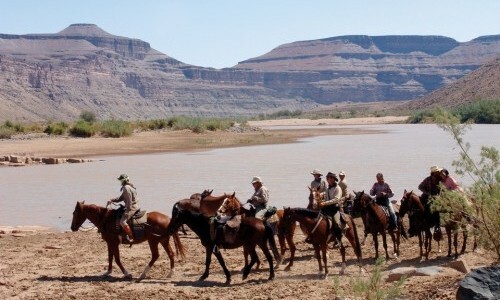 Set to the backdrop of two of Africa’s highest free-standing mountains, you will ride along trails, frequently used by game, and explore these spectacular landscapes. 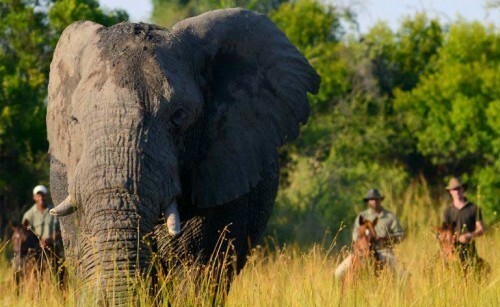 This Tanzania adventure offers breathtaking views, exotic and varied landscapes, close encounters with Africa’s wildlife and long thrilling canters. Riding Level 14 stone / 200 lbs or 90 kg weight restriction. The areas that surround the ‘four giants’ – Longido, Namanga, Mt Meru and Mount Kilimanjaro – are teaming with wildlife and the landscapes boast a wide variety of ecosystems. You will cross areas of mountain forests, wide open savannah plains, African scrub and Massai farm land as you explore the diverse scenery. The area was formed in 2007 and covers 1,280sq km of land. 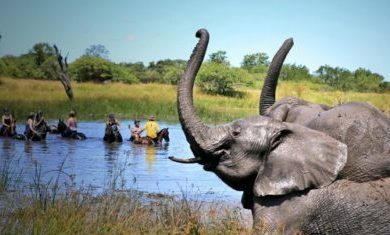 The area is situated in the Longido District, near to the Tanzania-Kenya border, and provides an essential trans-national migratory route and dispersal area for many fauna including the African Elephant. The EWMA is the only corridor that connects to the Kilimanjaro Ecosystem, and is extremely important in creating a safe haven for Tanzania’s wildlife to pass through. Significance: This game corridor hosts variety of wild species which includes Elephant, Buffalo, Giraffe, Leopard, Oryx, Lesser Kudu, Eland, Gerenuk, Klipspringer, Hartebeest, Bushbuck, Wildebeest, Bushuck, Hyaena, Thomson Gazelle and Grants Gazelle and other small animals. Ecologically, it acts as connectivity between the Mkomazi, Arusha, Kilimanjaro National Parks and Amboseli and Tsavo ecosystems. This is a sample itinerary for an 8 day safari. Please be aware that this is a guideline and therefore may vary slightly. However any changes will always be made with the horse and rider's best interests at heart. Day 1: You will arrive at Makoa Farm, a 358 acre coffee and horse farm nestled in the idyllic setting of the foothills of Kilimanjaro; it is from here you will start your adventure! After being welcomed with a cold drink you will be settled into your room which boasts spectacular views of Kili and the surrounding wilderness. After lunch you will be introduced to the horses and help will be provided in finding your perfect four-legged friend for the journey. Once pairs are made, you'll mount up and ride out for the afternoon and get to know your steed. 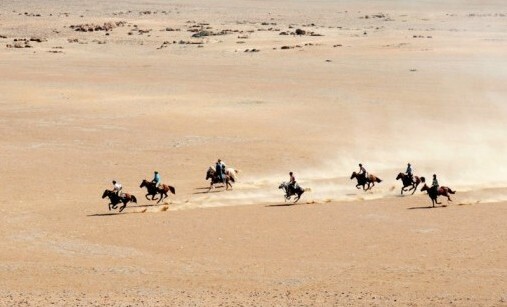 After breakfast transfer to West Kilimanjaro, where you will find the horses at our mobile camp and start your ride. Ride over the Narco Plains and encounter the first plain animals. The private mobile camp is erected next to an Acacia forest and your ever-friendly crew will be waiting for you. Spacious tents with 3 x 3.80m are equipped with comfortable beds and linen, there is a private verandah and en suite bath tent with toilet, sink and a shower, which the crew will fill up with steaming hot water every night. The horses are always next to the camp and visible from your tent. Rise early and set out for a long ride through this beautiful wilderness area, exploring Euphorbia and acacia forests and big savanna plains. Tracking elephant, zebra, wildebeest and many other antelopes (Eland, Thomson, Grant and Impala), occasionally spotting buffalo. Lunch will be prepared on a treehouse overviewing a waterhole – the most enjoyable entertainment with all sorts of wild animals coming, drinking, bathing and moving further. Later afternoon we will arrive at a place called “Mgunga”, which is the Kiswahili name for Acacia trees. After a break we will depart with the 4×4 vehicle for an interesting journey into another world: to the homestad of a Masai family. Get to know the cheerful women and children and learn about their daily life. It will be dark when will return to camp, for sure we will meet some nocturnal animals usually not seen during the day. As you travel further, you will pass rocky hills and winding your way through bush and acacia forests. This is elephant and giraffe country and you will often find tracks and other signs of these giants. Although this is Masai land and predators are shy, there might be some around dozing during the day and so you will be constantly alert. Pull into camp later that evening, beautifully set under Acacia trees on the Ngasurai Plains. Sometimes listen to the sounds of Masai herders leading their animals to the water hole during the night. They move in the darkness and use their voices to keep predators away – a magical night with ongoing Masai songs coming and moving far away. There will be an early start in order to cover some ground. If there was a good rainy season then these vast plains can get very populated and there are migratory herds wandering while feeding on the fresh short grasses. 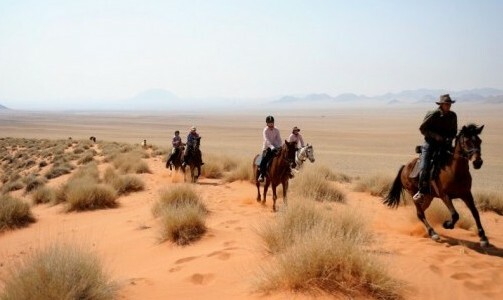 The area is perfect for canters with wildebeest or zebra herds – and if you're really lucky - the odd giraffe! Break for lunch under a shady acacia tree next to a dam where the Masai frequently water their herds. There is quite some coming and going of animals, along with lots of friendly chatting. The wildlife prefers to watch this from a safe distance. After resting and avoiding the hot midday hours, continue on your way, the good terrain inviting a faster pace. Arrive to a welcoming camp fire and your new mobile Sinya camp. Enjoy a Gin &Tonic as the sunset sets the sky alight with stunning oranges and reds. A long ride will lead you up to the Kenyan border, close to the Amboseli Reserve in Kenya. 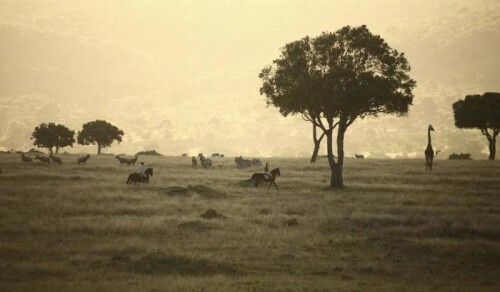 The landscape changes completely and you will ride over Lake Ambosel and salt pans that allow for great canters – often with herds of zebra or giraffe. Carefully scan the forests along the salt pans as these are a favorite with browsing elephant. This is also cat country and you will be keeping your eyes peeled! After returning to camp, swap saddle for engine. Visit the Sinya Mines that where mined for “Meerschaum” many years ago. The remaining springs and ponds have been turned back to nature and are frequently visited by wildlife. With some stops for wildlife viewing on the way, you will finally arrive on “the rock”, a huge kopjes with a stunning view – just in time for the sunset drink. It will be almost dark by the time you make your way back, and you may well encounter some nocturnal species on the way. Wake up with the sun for the last exiting day in the bush. First turn west, towards Mt. Longido. Pass the plains and follow the bush line on the other side. There will be some last exhilarating canters over the plains, some accompanied by giraffe who seem to enjoy these just as much. Later we will meet the vehicle and horse truck and our crew will load the horses and bring them back to Makoa-Farm. You will drive back to Makoa and arrive just in time for nocturnal animals stretching their legs after a long day of sleep. This is the time to meet our resident bush babies, passing by to check if there is anything interesting for them. Have you ever been near to a friendly porcupine? If not then there will be the chance today, our resident porcupines moved to us after the enclosure at their previous home was to small to host them comfortably, and for being too tame a release would not have been safe for them. Day 8: After a lazy morning and relaxed breakfast you may wish to have a look around the farm, learn about the education projects at Makoa, view their veterinary clinic – often filled with an interesting assortment of animals both tame and wild. Those who will not be able to fend for themselves, often due to injuries, get a new home at Makoa Farm and they are ambassadors in education. On a weekly basis various Tanzanian school children come to see and touch the animals - for most of them an eye-opening experience which encourages them to become passionate about their environment. All the animals are very friendly and welcome a pat or scratch behind the ear! Later transfer for Kilimanjaro International Airport and departure. Rates are per person sharing a twin/double room or tent. A minimum of 2 riders required to conﬁrm the ride. Enquire for single supplement if client is not willing to share or there is no other rider to share rooms/tents then single supplement applies. *Rates, fees, terms and conditions are subject to change without notice and in the event of a change on government taxes, levies, concession/ wildlife/community fees, Makoa-Farm reserves the right to pass on any increase to the clients or agents, even after a booking has been made and the safari will still take place. Non-alcoholic beverages, tea, coffee, sunset drinks, at dinner wine, beer, local spirits. Transfers from/to Kilimanjaro Airport, luggage transfers, German/English speaking guide. Accommodation mixed between Makoa Farm and mobile tented camps. You will stay at Makoa Farm; a 358 acre coffee and horse farm nestled in the idyllic setting of the foothills of Kilimanjaro with access to the spectacular rainforest on the mountain’s lower slopes – it is from here you will start your adventure! All rooms and the lovely veranda boast spectacular views of Kili and the surrounding wilderness. The farm is near Kilimanjaro’s Machame Gate . The area is home to the Chagga people whose small villages and coffee farms dot the hillsides. 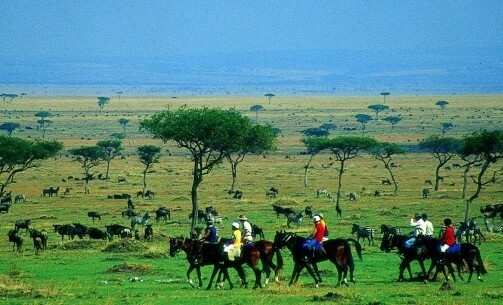 On the plains to the south, Masai graze their cattle. The fly camp consists of a basic, yet comfortable tent under a beautiful Acacia tree, with a long drop toilet and classic hot bush shower next to your tent. You can take your hot shower under the twinkling night sky and the stars are even visible from your pillow. There is nothing quite like drifting off to sleep with the noises of Africa’s wilderness playing in the background – a true bush experience. 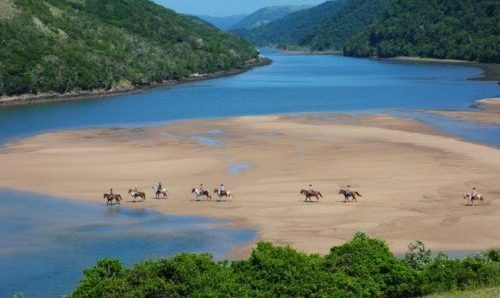 African Horse Safaris 2016. All rights reserved.